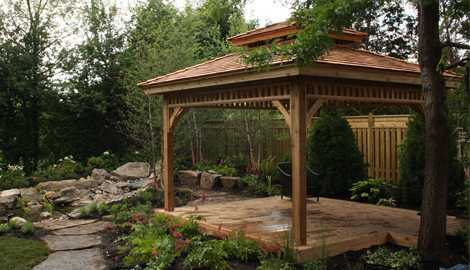 A great gazebo plan can transform any outdoor space into a picturesque retreat. True North makes it quick and affordable with fully customizable plans that are incredibly easy to follow. Find a plan that suits your unique space with square and octagonal designs as well as screened gazebo designs. If you spot a heart you know it’s a True North favorite. 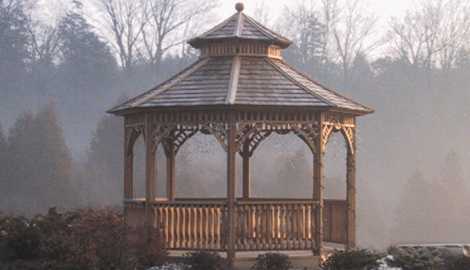 Choose from any of our preset gazebo plans or mix and match your own design in our Custom Design Center at no added cost. 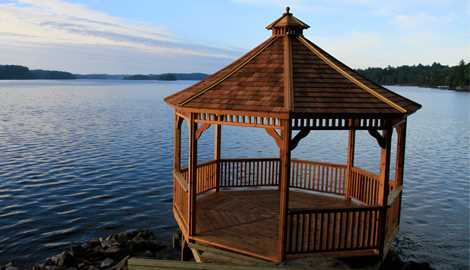 Every True North gazebo plan has been successfully built hundreds of times by people just like you. Simply download your gazebo plan and with it receive your material shopping list, cut-lists and online video tutorials to help you along the way. You don’t have to be a pro to do it yourself. Get started with our plans and learn to build a gazebo today! 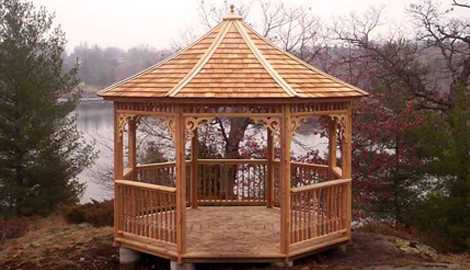 The charming Victorian accents of the Carlisle gazebo plan give the structure character and style. Traditional spindle railings add to the overall appeal. 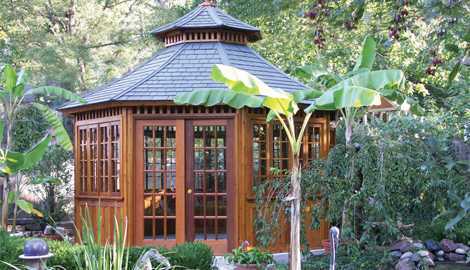 A Monterey gazebo plan is a design that complements any backyard. The gently curved roof offers simple beauty. The Montpellier gazebo plan is a design suited for parks and open spaces. It offers the perfect place to find shade. Simply grand, the San Cristobal gazebo plan is fully enclosed so you can enjoy the outdoors year round. Elegance meets practicality. 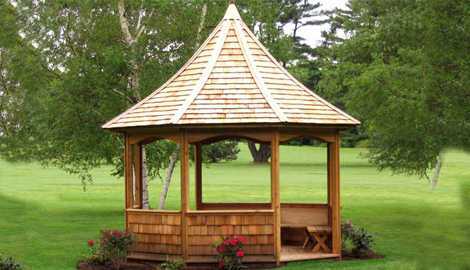 Tattle Creek gazebo plans offer European flair that fits into any setting. This gazebo plan is a DIY dream. With amazing ornate details, Victorian gazebo plans are breathtakingly beautiful. This design brings effortless charm.